Acculec distributes and markets electrical products through subsidiaries Bri-Tech and ECO. Bri-Tech’s electric power and transmission products are sold mainly to utilities and heavy industry. ECO’s earthing, lightning protection and surge protection and electricity management products are sold mainly to infrastructure, construction and resource clients. Acculec add value through quality control, testing, packaging and modifying products to meet Australian and New Zealand standards. Appen (ASX:APX) is a leading global supplier of languages services to technology companies and government agencies throughout USA, Australasia and Europe. Appen provides high-end text, speech, social media and language technology resources, products and services to many of the world’s leading information technology, automotive, call centre and intelligence organisations. Services include content relevance, lexicon catalogues, resources, software products, expertise and consulting in over 100 languages. Anacacia first invested into Appen in 2009 and Appen listed on the Australian Stock Exchange in January 2015. Careers Training Group (CTG) is a leading supplier of quality vocational education in Australia. CTG have united four specialist providers, Selmar, Practical Outcomes, Royal College of Healthcare and Managed Corporate Outcomes (MCO) that focus on areas of greatest career need in the economy such as as early childhood and aged care workers. Melinda Symon, the founding Director of Managed Corporate Outcomes, stated: "I am delighted to welcome Anacacia Capital as a partner and am already enjoying working with their team," and Marcus Sellen, CEO Selmar Institute of Education added: "It's terrific to join with MCO under the Careers Training Group banner with Anacacia. We have an outstanding board and shareholder base in place and this is a great outcome for our staff and students." K Care Healthcare Equipment manufactures and distributes Hospital, Residential Aged Care and Community Care equipment for the Australian and international markets. K•Care Healthcare Equipment has established an extensive range of products for Hospital, Residential Aged Care and Community Care sectors, working closely with healthcare professionals. K•Care Healthcare Equipment consists of key brands: Kerry Equipment (Hospital Equipment), K•Care (Aged Care, Rehabilitation and Community Care), Air Comfort (Pressure Management Seating), My Comfort (Aged Care Beds), My Mobility (Aged Care & Rehabilitation Mobility Products), Oxford (Acute Care, Trolleys and Carts) and EasyVet (Veterinary Equipment). Together these brands offer an extensive range of assistive technology equipment, aged care products, hospital, veterinary and residential aged care (nursing home) equipment. Alan Lipman, CEO said: "We are delighted to be partnering with Anacacia's Fund II to acquire this iconic business within the healthcare equipment sector." LEDified Lighting is Australia’s largest full service LED lighting specialist. LEDified over 140 staff and electrical contractors to manage the full LED upgrade process. LEDified has four core service offerings and channels to market: commercial retrofit; residential retrofit; wholesale; and licensing. Customers can pay upfront or through payment plans via their utility bills so the savings pay for the installation costs. Muir Engineering Group is a leading manufacturer of anchoring and mooring systems for the maritime sector. John Muir, Executive Director, said: "Muir has been a family owned business for many years now, and in truth it was hard to get comfortable with the idea of a new investor in the business, but Anacacia were supportive, responsive and transparent which gave us confidence to partner with them. A thorough due diligence process also gave us a lot of time to get to know each other." NW Group is a major professional audio service provider throughout the Asia-Pacific operating under the Norwest, Oceania, Cairellie, Spyglass and McLean brands. Norwest rents specialised equipment and provides technical staff to assist with corporate and specialty events, Olympic Games, concerts, festivals, broadcast and theatre. Norwest has acquired Mclean Audio, Oceania Audio and Cairellie, all leading professional audio, lighting, production hire and specialist event services businesses, since Anacacia's initial investment. Chris Kennedy, founder and Chairman of Norwest, said: "We are delighted to have Anacacia Capital as an investor in our business. They have added significant value to our decision making. Anacacia have helped us make great acquisitions and strengthened our core business. In truth, I could not recommend them more highly." RIS Safety (RIS) is Australia’s largest height safety provider, with a network of branches to meet its clients’ requirements in Australia or overseas. RIS designs, manufactures, distributes and installs an extensive range of tested and standards compliant height safety products to keep everyone working at heights safe, whether the requirement is fall protection, confined space or rope access solutions. RIS Protects People from harm. RIS operates in a variety of industries including the construction, industrial, transportation, mining and many other sectors. Clients include: The Skypoint Climb atop the Q1 building, and the Peppers Resorts Soul building on the Gold Coast; Sydney’s Queen Victoria Building, Bunnings Warehouse sites, and many mining sites and industrial applications. 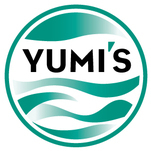 Yumi's Quality Foods is a leading supplier of dips and snacks into grocery and independent stores as well as food service. Yumi’s has grown by offering non-dairy and gluten free dips, snacks, bites and smoked fish in a growing market for everyday consumption and entertaining. Yumi's has grown more than 20% per annum over the last 5 years. It is now one of Australia's market leaders.